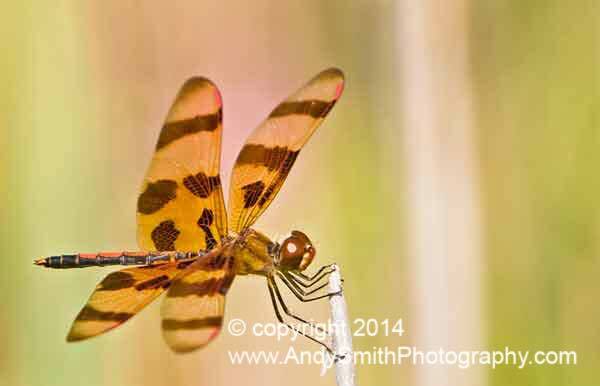 The Halloween Pennant, Celithemis eponina, is medium sized dragonfly, butterfly-like in appearance and flight. It is a percher, often on the tips of grasses and shrubs. It occurs throughout the eastern half of the US as far West as New Mexico. This one is at Cape May, New Jersey.